Works with B.E.G. power packs, sensors, and other devices with low voltage switch inputs. 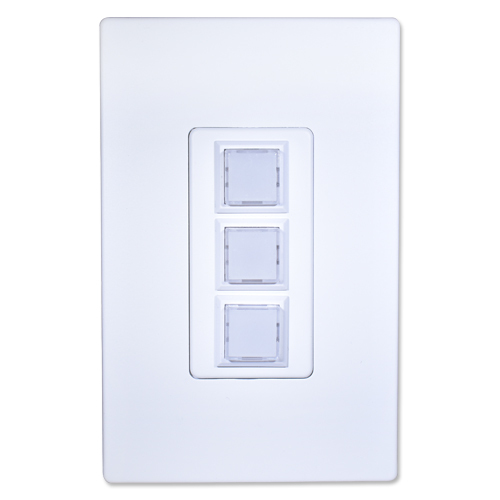 Can be used with any control systems by others that requires a low voltage, momentary dry contact input button. Compatible with single-gang wall switchboxes. Multi-gang compatible when used with decorative-style wall plates by others. Buttons are low voltage momentary dry contact, normally open. Buttons are two-wire with 20 AWG stranded, tinned wire leads.